Yesterday was Bach day. That was the good thing about it. 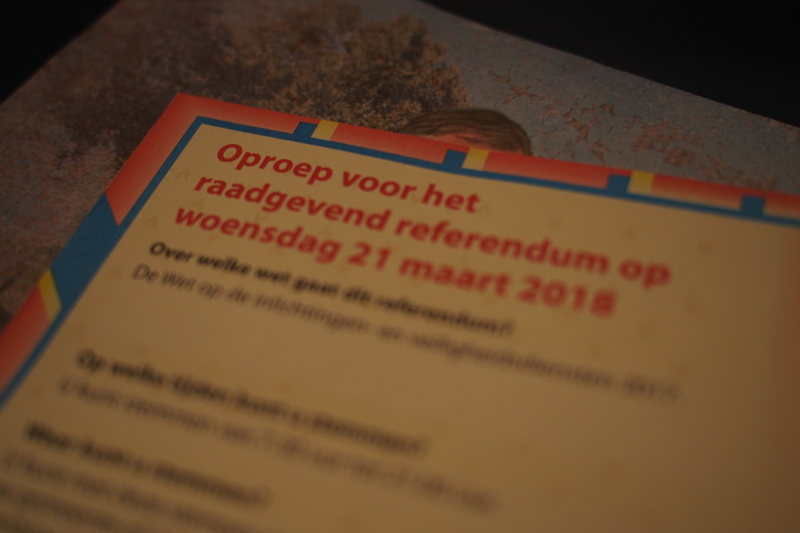 The other thing was the referendum about the Dutch “W.I.V.” law (a.k.a “sleepwet”). Compare it with the U.S. “Patriot Act” if you must and you understand something about the context here. I was against the law. Let me explain a few things here. A new law to intercept digital communications to prevent criminal and terrorist acts is proposed. You simply have to make it work and that is the hard part. Mass surveillance has one disadvantage: how to filter and find relevant (and accurate) information. Governments tend to forget that nitpicking takes time. I voted no because The Hague has underestimated how this law is to be enforced and implemented. Let me simplify the problem in 4 steps. The remark in bold is my response. new law that uses unspecified mass surveillance and hoards data which can be exchanged between intelligence agencies, ignore privacy and information overload. W.T.F? The Hague will have an in-house commission to monitor the processes and let third-part contractors do part of the work because The Hague does not understand I.T. Seriously? The referendum about this law is to advise our parliament on how to decide. We live in the year 2018 now. Our parliament should know better than to just hoard data and then hope for results while breaching citizens their privacy. Data-analysis is not a budget-friendly activity. The initial budget for the implementation is about 20 million Euros. Just that to hoard and analyse data from millions of people on smart devices on various social media using all kinds of media. That is like flying to moon in a F16 on cheap rocket boosters. I like that The Hague wants to do something about new digital communications to know what is going on. That is a good. The bad, The Hague only considers this referendum an advice. A law designed to give the intelligence agencies a lot of power while written with flaws is a recipe for disaster. Posted in Short Reads and tagged 2018, Bach, citizens, data, data-analysis, information, intelligence agencies, law, parliament, politics, privacy, referendum, sleepwet, terrorist threat, The Hague, W.I.V. Patriot Act on March 22, 2018 by rura88.